At Downers Grove Pediatrics, children come first. 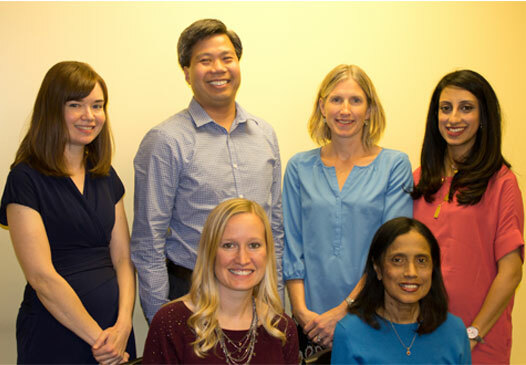 Our pediatricians and patients have been working together to provide exceptional medical care in the Downers Grove and Bolingbrook area since 1971. We pride ourselves on providing compassionate, comprehensive services to children from birth through adolescence, and we're glad you've chosen us as your child's medical home. We know how hectic life can be and are committed to making our practice convenient and accessible for your family. We want you to feel confident that when you choose Downers Grove Pediatrics as your child's primary physician, you're working with professionals who are qualified, experienced and caring. We do this by equipping you with the support and resources you need to make the most educated decisions about your child's health. At Downers Grove Pediatrics we follow the vaccine guidelines and schedule established by the Centers for Disease Control and the American Academy of Pediatrics. We firmly believe in the effectiveness and safety of vaccines to prevent serious illness and possibly death in children and young adults. It may be the single most important health-promoting intervention we perform as health care providers and that you partake in when you choose to vaccinate your child. Effective November 1, 2016, Downers Grove Pediatrics can no longer accept new patients who do not vaccinate or who do not initiate and complete vaccines in a timely manner in a way congruent with CDC and AAP schedules by the age of 2. Please view our Vaccine Philosophy and Policy under Patient Resources. We are also proud participants of the program, Reach out and Read (ROR). ROR is a national, nonprofit organization that promotes early literacy and school readiness. We incorporate ROR into well child checkups beginning at age 6 months by giving each child a new book at every appointment and encouraging families to read together. We want to thank you for choosing Downers Grove Pediatrics for your child's medical care and welcome you to our practice. We can assure you that you'll feel confident in our ability to meet and exceed all of your expectations. Please call our Downers Grove or Bolingbrook, IL office if you have any questions or to schedule an appointment. Please click the link below to find more information about our physicians.